Welcome to the Close to My Heart Stamp of the Month Blog Hop for December. This month we are featuring the stamp set "Mad About You". Along this month's Stamp of the Month hop you'll find dozens of fabulous creations using this stamp set - all brought to you by a very talented group of CTMH Consultants! If you've come here from Fancy Melissa's Blog, you are on the right path. If this is your first stop on the hop, that will work too (just keep hopping till you get back here again). 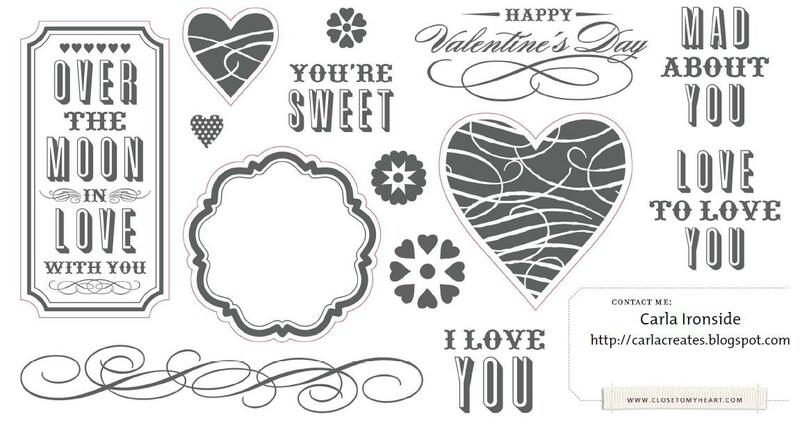 My creation for you today is a Valentine card measuring 5" by 7". My creation was inspired by a card I saw HERE on Splitcoast Stampers. This card could easily be adapted to a wedding or anniversary card by simply changing the sentiment. The "Made for You" stamp set is available from your consultant from December 1st to 31st! You can purchase it for the great low price of $19.95 or get it for just $5.50Cdn with every CTMH order of $55 or more placed in the month of December! Thanks for stopping in!! To continue on the hop, visit Traci's Blog to see what she has created for you! 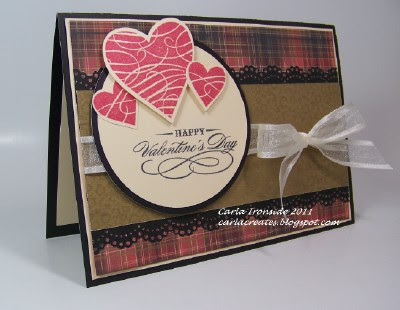 Carla, I love the layout of your inspired card! It's absolutely beautiful!! Carla...WOW! You really outdid yourself. Love this one. 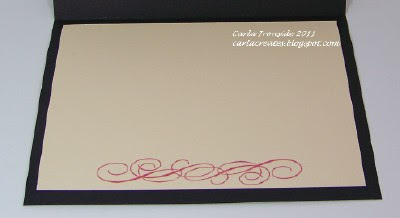 LOVE your card Carla! the border punched edges really bring the focus to your sentiment!